(Boo) Junfeng recalls starting the year getting jitters on 3 Jan when he was about to embark on an 18-day shoot of his first and a publicly-anticipated feature film, Sandcastle. In a way, the pressure was on as there was much pre-production fanfare by the media – something quite exclusive to only 4 or 5 names in Singapore. As we countdown the last days of 2010, Junfeng can look back with some relief and restrained-rapture (like in his usual self) as he counts the number of air tickets to the various film festivals that film has brought him to or the handful of glowing reviews from the international media of his film. What pleasant surprises time can bring! As Junfeng begins to turn the page on a new chapter in his journey as a filmmaker, there are a dozen others who are still trudging through Chapter One, trying to find a happy ending. 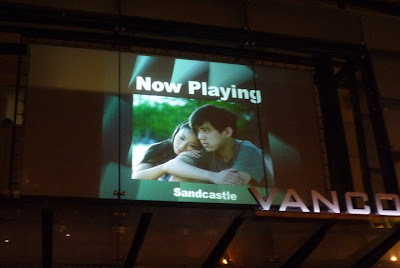 While, making Sandcastle was certainly no ‘click-of-a-button’ miracle and was painstaking in its detail, it at least had the privilege of a double backing by Zhaowei Films and Fortissimo Films. Between this and the next best-supported film, there is a valley of nasty traps and chasms. Many of these other productions were operating below the media, financial and even talent radar. 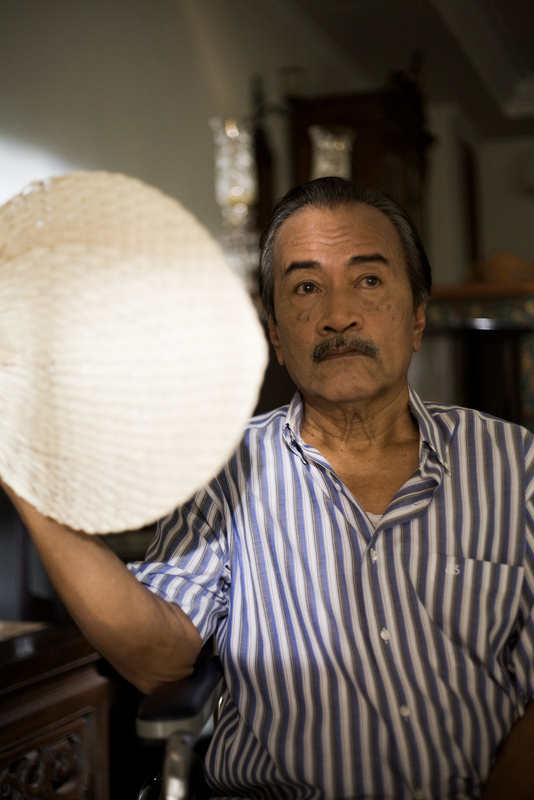 Veteran TV director and filmmaker Sanif Olek had been developing his food-related feature Ramuan Rahasia (The Missing Ingredient) for some time. In fact, the idea was first hatched back in 2001! Sanif is not exactly ‘below the radar’. He has built a stronghold for himself among the Suria audience. And Ramuan Rahasia would speak to a sizeable Nusantara market which is the Malay speaking market. Cultural nibblet: The Nusantara market covers Malaysia, Indonesia, Singapore, parts of Philippines, Southern Thailand and even the Malay speaking part of Madagascar! Despite the potential, Sanif did not get the needed institutional or organisational support and had to go down the indie route. 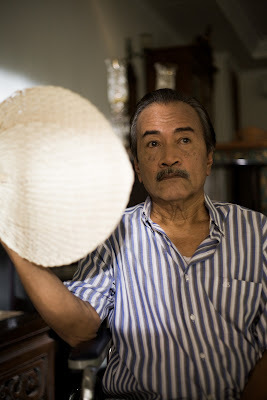 Thankfully, the continued faith of screen legend Rahim Razali (in picture below), became the centrifugal force for the help he needed to continue his production. Till today, the film is 60% done and working uphill against money (or the lack of it) and time as Sanif continues to drive it. Speaking of institutional funding, the MDA report card has a 3 out of 9 score for the 1st batch of films under the New Feature Film Fund. Apparently, 1 or 2 films have dropped out of the scheme. This is in fact realistic rather than indicative of a need to crack the horse’s whip. We forget that developing good films are cooking soup. It’s not about throwing all the ingredients in and expecting a fine concoction. Like Yasmin Ahmad once said, she aims to make ‘clear soup that is spicy’ and it’s a challenge. We also forget that in countries where the filmmaking tradition and history is more mature, many filmmakers really only get to make their first feature film perhaps in their mid-30s and hit the sweet spot with their best work when they hit 40 and above. Why is the media then kidding the public you can hit big-time below 30? And it does not help that we anointing ourselves with terms like ‘Cannes of Asia’ or the infamous local media staple - ‘hub’. So in fact, it is only natural filmmakers are pausing to think if they are ready to open ‘battle’ and roll the camera. Last year, when SINdie compiled a ‘Who’s Shooting What in 2010’ list, it seemed we were entering 2010 expecting filmmaking efforts of ‘flash mob’ proportions. Like a post-recession renaissance, everyone had something planned on the plate. But as the year has shown, ‘caution’ seems to be the undertone, with going back or staying in ‘development mode’. However, one group of people who were brewing some genuinely exciting work was 13 Little Pictures (some members pictured above) They are a collaborative of filmmakers with a penchant for strict arthouse discipline and would find common loves in the likes of Apichatpong Weerasathukul, Hou Hsiao Hsiaen or even Tsai Ming Liang. Perhaps they are termed ‘genuinely exciting’ because they are driven by sheer idealism and a vision untainted by industry expectations that usually come with winning accolades and media attention. They have left their footprints in several of the major screening fronts this year. 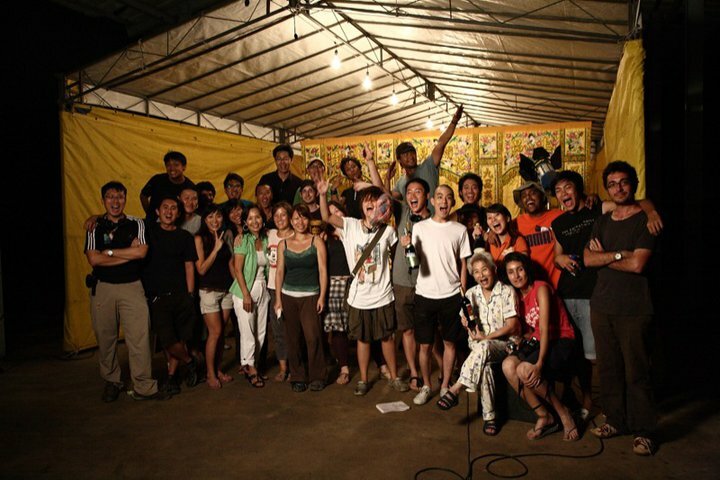 Sherman Ong’s deeply-entrenched Memories of a Burning Tree and Chris Yeo’s ‘genre-changing’ House of Straw both screened at the Singapore International Film Festival (SIFF) and several other notable film festivals overseas. Lei Yuan Bin’s White Days continued to find screening opportunities overseas after its debut in the SIFF last year. In fact, they made their presence most-felt at the Rotterdam International Film Festival in Jan and the Hong Kong International Film Festival in April, with a slew of films being accepted. 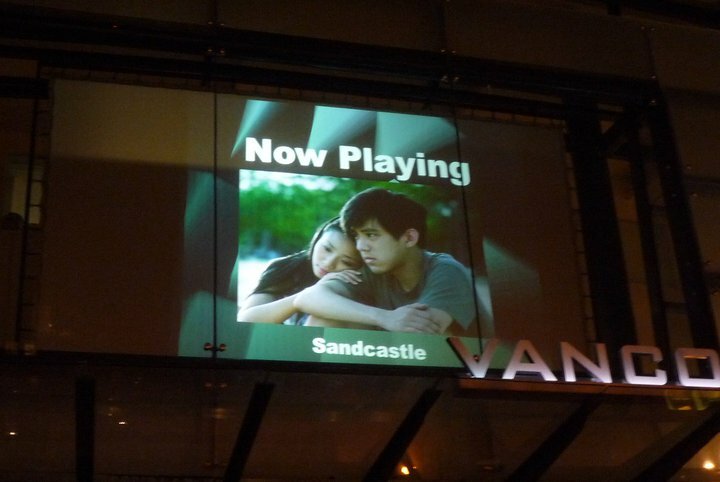 One film from this collaborative, that was making waves in the festival circuit almost in parallel with Sandcastle, was Red Dragonflies by Liao Jiekai. Jiekai won a few awards with this and brought Red Dragonflies to discerning audiences even in faraway places like Buenos Aires. Yet, like a poorer cousin of Sandcastle, it received scant publicity in the papers despite its achievements. This is where it makes sense to see a simplistic dichotomy in how filmmakers are taking on that feature film beast. Some filmmakers here will never settle for anything less than shooting 35mm and having a proper ‘machine’ to run the entire feature film project – professional crew and respectable cast, big-time sponsorship, a sturdy distribution plan and enough paperwork to make everything sound important! Some filmmakers will go with their guts rather than wait and invest time wooing investors. They ride on moments of epiphany, grab a bunch of die-hard supporters and go out to shoot. Ultimately, both styles have given birth to brilliant work, the only difference lies in coddling the distributors. Red Dragonflies (picture above) was born out of a trip on the KTM railway back from KL. Driven by a personal desire to capture a disappearing sight - what he saw out of his window on the train, he decided he could not wait for more institutional means of funding. So rather cleverly, he bought himself a Panasonic P2HD camera to cater to the erratic nature of the shoot and the need for ad-hoc shots (which beat paying $200-300 a day for the same camera). While the congratulations and the glowing reviews poured in, Jiekai considers the best reward to have come from getting the film done and knowing people and places in the process. In true ‘indie’ spirit, he relates, ‘Not everybody likes the film, you either love it or you hate it, some members of the jury walked out before’. His experience also brought to light the distribution dilemma. Shoot it cheap but spend the bomb (typically more than a ‘low-budget’ production cost) later to do a film print transfer so that the likes of Golden Village and Cathay would accept your films or just face up to the film print cost barrier right at the beginning? Filmmakers ought to know that even getting a film screened at Cinema Europa has its entry barriers. It is hard enough to get a basic 2-week run and if the attendance is decent, you are only halfway through to breaking even and that does not even cover the advertising and promotion costs! That is where a clear line exists between the mainstream ecosystem and the ‘indie’ ecosystem, where two very different games are being played. Films like Kelvin Tong’s Kidnapper, Jack Neo’s Being Human and even Tony Kern’s Haunted Changi play a rather well-defined game entertaining the mainstream watchers, and hence scaling the production suitably. It’s about thinking big and connecting far and wide. Perhaps there is no room for fragile egos – it’s dollars and cents. In this, emerging ‘filmo-preneur’ Tony Kern’s Haunted Changi (picture below) changed the rules of the game a bit this year with its indie scale production riding on a mainstream scale publicity, all thanks to its social media spectacle of creating a ‘Blair-witchesque’ sensation. Some simply see this juncture just a longer form of their usual business of telling a story while others see it as a complete migration akin to moving from a village to neon-lit city, adopting a completely different sensibility. Kelvin Sng is not sheepish about his strong business sensibilities and approach towards his first feature film. He has a potentially expensive feature film in development. A kid of the 70s, he wants to recreate the heydays of local gangs in1970s Singapore in his feature film currently titled The Gang. He had been raising funds for the last few years in cumulative ways for this but took a surprise turn when he used the funds (inadequate for his feature) to make a short film version. Calling it a ‘prelude’ to the main feature film. Skeptics predictably rolled their eyes at the unabashed marketing of the ‘prelude’ production right from the fanfare created at the audition stage to ‘red carpet’ touch at the final gala premiere. One could only hope the film lived up to all the publicity preludes to this prelude. Apparently, Kelvin had the last laugh as several investors who attended the screening were in conversation with him including Homerun Pictures’ director Daniel Yun who liked what he saw at the premiere. So moral of the story – there is no formula to getting to getting your first feature film out. 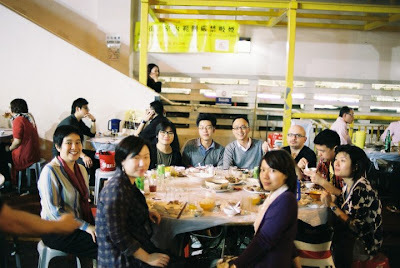 In fact, in a small parallel comparison to Tony Kern of Haunted Changi, Kelvin seemed to have left a trail of ‘gala’ show-stoppers with films like David Liu’s Steadfast and Jeremiah Oh’s Hush getting the red-carpet treatment as his company drove the marketing and distributing of these films. The size of their captive audience cannot be ignored. … somehow. As Junfeng shares, he would like to hold on to some idealism that a good film that retains its artistic integrity can find its box-office returns and if not other forms of returns that would pay off the investors who planted their faith in the project. Living in Singapore, this kind of idealism will face the test of our bottom-line driven ethos. But thankfully as it turned out in 2010, his sandcastles stood the test of time, which gives hope to many of us out there who just want to tell a damn good story and not play catching with money. Merry Christmas to all and have a fantastic New Year!